We simply adore these Toasty Toez slippers from LazyOne! 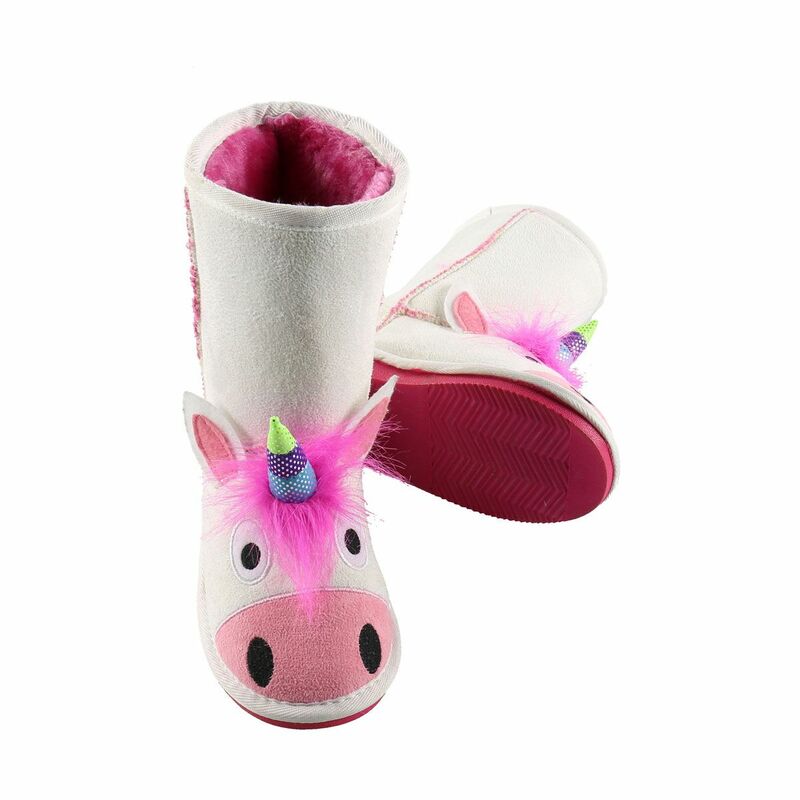 A great way to keep your feet warm, with a fuzzy fleece lining on the inside, a stylish faux suede on the outside, and flexible rubber soles. These can be worn inside and outside as the sole is hard rubber (also, it is white, not pink as shown).